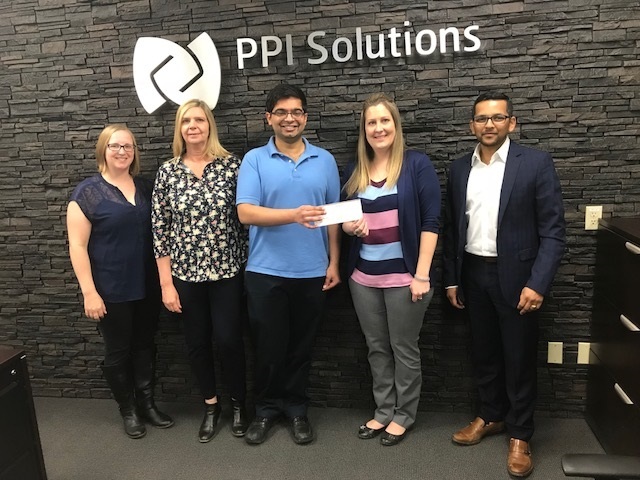 The wonderful staff at PPI Solutions hosts a symposium every year in April and each year; all donations they raise from that event go to a chosen charity. This year that charity of choice was WIN House! Through donations received at the Symposium, WIN House was handed $4,635!! Big thanks to Yatin Sood and the rest of the staff at PPI for making this happen. And big hugs to the wonderful attendees of the event who found it in their heart to contribute! Your donations will go straight to the needs of the women and children living in our shelters. Thank you ALL! You are all amazing!